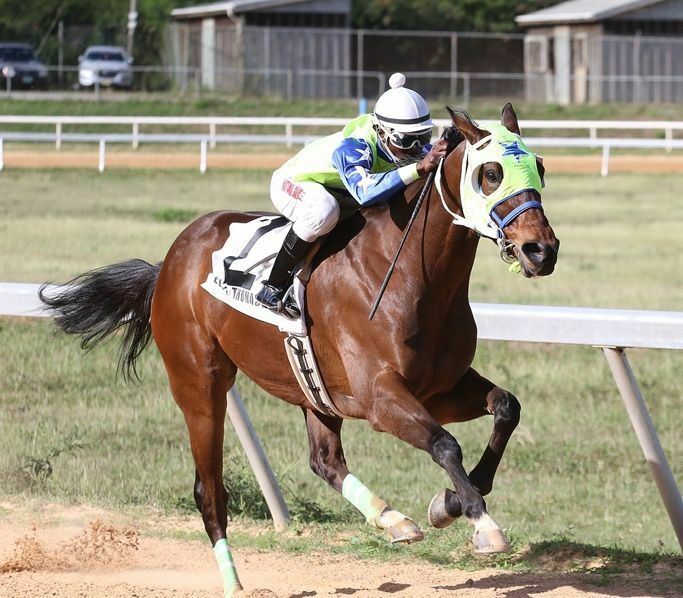 ROAD TOWN, Tortola, VI – The traditional Boxing Day horse racing at Ellis Thomas Downs in Sea Cows Bay promises to be another affair to remember on Monday December 26, 2016 with a large crowd expected to witness five races and 34 horses looking to win purses of over $30,000. Of course, the feature race always grabs the headlines, but this time around there is also a co–feature race to round out the day which starts at 1:00 P.M. on Monday. According to President of the VI Horse Owners Association, Mrs Patsy C. Lake, race four, the feature race is over 7 Furlongs. “There are seven horses in that race and race five is a co-feature with six horses,” Mrs Lake stated. The feature race is worth $10,000 and will see the likes of Giant Valley taking on I’m Sensational, Honors and Pumped up Kicks to name but a few, whilst the co-feature is over six furlongs for $6,000 and boasts Apollo Sky going against My Pal Shaun. Many Horses are making the trip from the USVI, which is filling out the card to such a new level, that race one and two have eight horses on the card. “Race one is six and half furlongs with eight horses bursting out of the new eight stall gate for a purse of 4,000. Race two also has eight horses entered for a purse of $4,500,” noted Mrs Lake. “How it is in horseracing, the stocks go up and go down, some months ago, we were much higher than St Thomas, but now they have a lot of horses, some horses can’t perform so well so they go out to pasture,” she added. Those USVI horses include Go Pancho, Ez Eddie, El Convidado, Motion 4 Appeal, Dramacidel, El Indultadao, Sparky Bee, Gus is Tuff, Unguided Missile, DQ Rexter, Gottacha Blessing, Acacemic Probation, Scripture N Verse, Pumped Up Kicks, I’m Sensational, Call Daddy, Integrity and Totally Evil. Race three is over one mile and features five horses competing for a $5,000 purse. “VIBES will be here, Push Pop, there will be a fashion show going on by Makita Turnbull. There will be some other ladies and young people parading hats and JBY showing their latest styles and fashions,” confirmed Mrs Lake. The first race kicks off at 1:00 P.M on Monday December 26 and Mrs Lake is hoping for a large crowd. THAT LADY KILLED HORSE RACING ALREADY? if it wasn't for that lady, horse race would of been dead yur mean, envy is a bit.h! Good card but why start so late? The Audi raffling that day? Look at the card A..
@wallaer I agree purse too small, man looking to buy Big name horse and they paying chicken feed. They crazy. The real money is in St. Croix. ok what you want 150k? ?